Now that Spring is officially here, there’s no better time to plan a trip to Texas Hill Country. Spring is arguably the best time of year to visit the area because you beat the heat of summer and have more to do than you might in the winter. For activity ideas during your visit, check out this handy resource from our bar and grill in Lakehills. We’re a family-friendly eating establishment with tons of live music, so be sure to add The 4 Way Bar & Grill to your itinerary! If you want to burn a few calories and stay active during your trip, biking along the Willow City Loop is one of the best ways to do it. 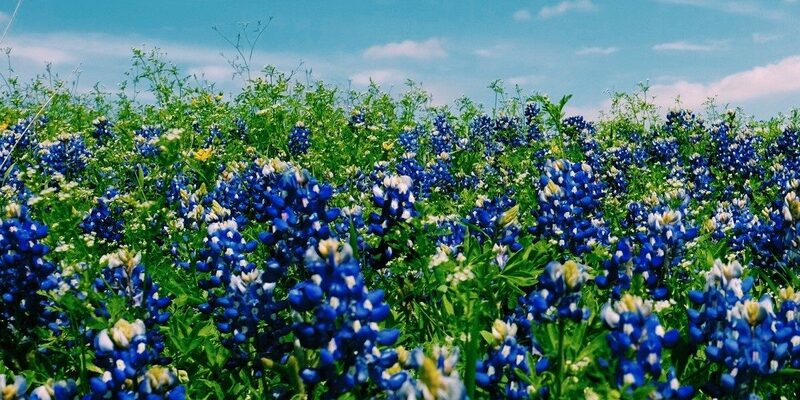 Just north of Fredericksburg, Willow City is a natural oasis with wild flowers, rolling hills, and bluebonnets galore. While the loop stretches for 20 miles, you can choose as much or as little of it as you’d like. Throughout the ride, you’ll be able to take in Texas Hill Country without the congestion of cars. Our town is called Lakehills for a reason. In addition to beautiful rolling hills, Texas Hill Country also has a whole lot of water. Plan a kayaking trip in Castell for a family-friendly, outdoorsy activity. Castell is a bit removed, but it has some of the best access for kayaking along the Llano River. If you want to get on the water but don’t want to kayak, you could also fish, rent a boat, or go inner tubing along the rivers in Texas Hill Country. Once you work hard during the day, you’ve earned a nice cold beer at the 4 Way Bar & Grill in Lakehills. If you’re looking for the premier place to horseback ride, it’s got to be Hill Country State Natural Area. In this protected space, there are 6,000 acres of wondrous Texas Hill Country to explore. Don’t fret if you don’t have a horse to bring with you on the trip. You can opt for a guided tour instead at the Hill Country Equestrian Lodge in Bandera. Texas Hill Country is known for its wild flower scenery, and they start to bloom in the spring. You might think of Texas as all brown, dusty, and full of tumbleweed, but the Lone Star state is actually home to 650 species of native plants. The Ladybird Johnson Wildflower Center is a beautifully maintained center that’s an especially good option for families. Each Saturday, the Center holds Nature Hour, where kids and adults alike can learn about native plant species. Is there anything better than sipping on Texas wine as a spring breeze blows and wild flowers sway in the distance? Eating a burger at The 4 Way Bar might actually be better, but we’re biased. For day-time activities before your dinner with us, Texas Hill Country has no shortage of vineyards to visit. Tucked along the rolling hills, these vineyards might start to make you think you’re in Tuscany. The Lakehills and Bandera area has great access to state parks. Check out Lost Maples State Natural Area in Bandera. This amazing park has 10 miles of trails, 21,000 acres, and even organized camp sites if you want to get really rustic. Each state park has a visitors center, so you can get trail maps, learn more about organized activities, and see which areas of the park might be most worth your while. With a menu for the whole family, great drink specials, and entertainment every week of the year, there’s no better place in Texas Hill Country than The 4 Way Bar & Grill. From burgers to Texas entrees to surf and turf platters, our menu really has something for everyone. When you’re tired from your daily activities and want a place to sit back and kick your boots up, look no further than our restaurant and grill. Stop by today, order online, or make a reservation to enjoy our restaurant. We’re family-friendly and open every day of the week, so now is the perfect time to come on in!